Please click on the image below to donate. 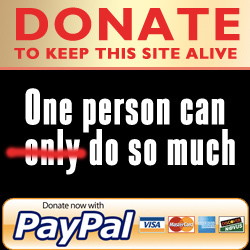 It will take you directly to Paypal where you can choose to donate any amount you prefer. All donations are gratefully received and help fund both this website and the Crimebodge Youtube channel. Alternatively, please consider purchasing any of the Ebooks available from this site.